Washington Youth Soccer state champions were determined last month in the Under-15 through Under-18 Boys age groups at Starfire Sports in Tukwila. Teams were competing for not only the state title, but advancement to the US Youth Soccer Region IV (Far West) Championships to be held in Albuquerque, N.M., June 16-22. Fans who came out to Starfire for the high school boys semifinals and finals of the State Championships couldn’t have asked for a much more dramatic set of games. Three of the four finals were decided by just one goal, while two — the Under-17 Boys and Under-18 Boys age groups — needed penalty kicks to determine which team would move on to Regionals. In the Under-18 Boys age group, Washington Timbers 95 Red held up to a stiff challenge from a Federal Way FC 95 Blue squad determined not to finish as runner-up for the second-straight year. McKray Kohn and Brandon Madsen each scored for the Federal Way boys, but Charles Hauser II added a brace of his own to level the score at the end of regulation, and Washington Timbers 95 Red prevailed in penalty kicks, 5-4. The stakes were similar in the Under-17 Boys final, where Eastside FC 96 Red also sought to avenge defeat in the final of the 2013 State Championships by taking on PacNW 96 Maroon. Sean Bender opened the scoring for Eastside FC in the 11th minute, and Isaac Reed added a second. But, just as with the older boys, PacNW answered with goals from Satwant Singh and Samuel Vargas Garcia and the game ultimately found its way to penalty kicks, where Eastside FC clinched their first title with a 5-4 shootout win. The two younger age groups produced a pair of champions from Crossfire Premier, with Brian Schmetzer’s Crossfire Premier 97 boys coming from behind in the second half on the strength of two goals from Ivan Castillo to defeat Eastside FC 97 Red, 2-1, and Bernie James’ Crossfire Premier 98 boys tallying two first-half goals to defeat PacNW 98 Maroon, 2-0. All four teams will compete at the Region IV Championships in June. Washington Youth Soccer State Champions have had recent success at the regional and national level. In 2010, Crossfire Premier 95 Black won the Under-14 Boys Region IV Championships, and advanced to the National title game where they fell 2-1 to the Illinois champion. Eastside FC 94 Red won the Under-16 Boys Regional title in 2011 and finished in a four-way tie to advance to the championship game at Nationals, but missed out on tiebreakers. In 2013, Washington finally broke through to claim its first National Championship in almost 20 years when Eastside FC 98 Red won the Under-14 Girls after advancing from the regional competition. Washington teams have won five national titles, the first of which came in 1983. There was similar drama in the finals of the Virginia Mason Challenge Cup, where five division titles were contested for the high school-aged boys. None of the age groups produced a more dramatic winner than the Under-16 Boys, where Federal Way FC B97 Blue notched three-consecutive one-goal victories in elimination games to clinch the Challenge Cup title. Those three straight wins are even more remarkable when considering that the Federal Way FC boys won just one of their four games in the tournament, plus two ties and one defeat — just enough to advance to the quarterfinals, where their magical run began. Other Challenge Cup champions include Tacoma United Chelsea (Under-15 Boys Division 1), Crossfire Select 98 Mana’o (Under-15 Boys Division 2), Crossfire Select 96-Gonzalez (Under-17 Boys) and BIFC 95 (Boys Under 19). 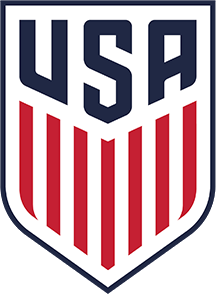 Winners of the Under-13 through Under-17 Boys and Girls Challenge Cup advance to the Region IV Presidents Cup in Morgan Hill, Calif., June 10-15. The four regional Presidents Cup champions will move on to play for the Presidents Cup national title in Greenville, S.C., July 10-13. Click the links in the box above to view complete results and Golazo Best XI honorees from each tournament, and congratulations to all the winning teams!